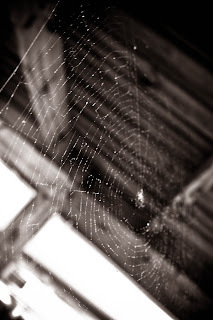 This is my first attempt at shooting a spider's web. I think it turned out pretty cool, not exactly what I was going for but I like it anyways. Trying to keep the drops of water on there like that though was tricky. And, getting to the web itself was tricky too :P Happy this day is coming to a close, time for some much needed sleep!